American Diet Revolution! 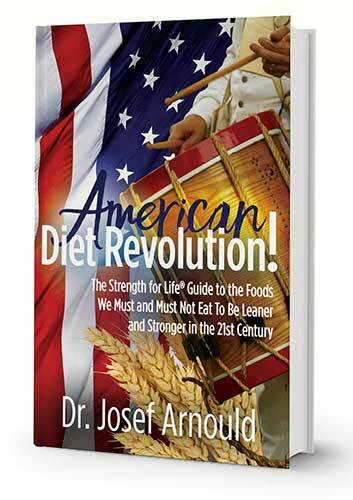 by Dr. Josef Arnould is a dynamic new entry into the fields of health, nutrition, and exercise. Health care costs in the United States are twice as high as in any other “developed” country in the world. In spite of these huge expenditures, our national rates of obesity, diabetes, auto-immune diseases, dementia and other types of neurological diseases have been increasing rapidly for decades. Increased management of heart disease and cancers has allowed patients to survive longer, but these methods have not slowed down the rates at which these diseases occur in the first place. Virtually all independent health providers and researchers agree; it is urgent we improve our eating habits to become leaner, healthier, and more physically fit. However, we face one enormous problem. We continue to be bombarded constantly with conflicting nutritional advice. How do you know what foods you should and shouldn’t eat? Non-fat, low-fat, Paleo, Mediterranean, high-protein, vegan, whole-grain, no-grain. What should you believe? Where should you begin? In American Diet Revolution! Dr. Arnould offers you several new and unique ways to consider and answer these questions. Click here to get your FREE Strength for Life® One-Week Nutritional Diary!